Google is opening the doors to its tech-focused Digital Garage pop-up within Newcastle City Library today (22 April). The brand has enlisted a series of digital experts to provide free digital skills training at the space, including one-to-one mentoring and digital masterclasses, five days per week. 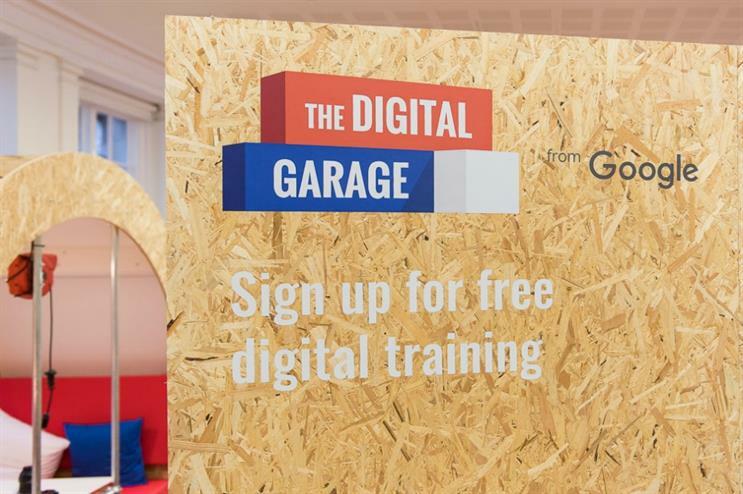 The Digital Garage will also host one-off training events for charities, as well as computer science education sessions for local students and teachers. The pop-up is open to those looking to enhance their digital skills, whether it be to improve their career prospects or grow the online presence of their small business. The team of experts will also deliver training and mentoring in other districts of Newcastle where there is a demand. The activity forms part of a multi-million pound investment outside of London, and aims to equip 25,000 Brits with the skills required to succeed in the digital age. The Digital Garage is being delivered in partnership with Newcastle City Library, Newcastle City Council, North East LEP and the North East Business & IP Centre. Eileen Naughton, managing director UK & Ireland at Google, said: "In the digital age, a basic understanding of how the online world works is useful; and when it comes to business, it’s essential. "We are bringing the Google Garage to Newcastle because we believe Google can be a growth engine for businesses all across the UK -- from start-ups to established companies. We are also welcoming individuals, be they recent graduates or aspiring entrepreneurs, to attend seminars at the Garage and learn more about how digital can help them grow." Cllr Joyce McCarty, deputy leader and digital lead, Newcastle City Council added: "We are delighted that Google has chosen Newcastle to become one of only a handful of other cities in the country to benefit from the skill set and experience of its Google Garage. "Over the next three months the advice and guidance provided will be priceless for a variety of local people and their businesses; with the City Library being an ideal location at the heart of the city centre. It also reflects how technology plays a big part in how organisations operate, especially at a time when the Council is introducing a new Go Digital Newcastle scheme to encourage residents and the business community to embrace the digital age in day-to-day activities across the city." The Google Garage pop-up first visited Leeds last March, and it has also stopped off in Birmingham.